Two new earthquakes have hit central Italy, shaking buildings in Rome. According to US Geological Survey, a 5.4-magnitude earthquake struck at 17:10 GMT south of Visso in the province of Macerata. There were no immediate reports of injuries. It was followed just over two hours later by even more powerful quake. The tremors come two months after a powerful earthquake struck slightly to the south, killing 295 people. The 6.2 magnitude quake, on August 24, toppled buildings in villages in the mountainous region around Amatrice. 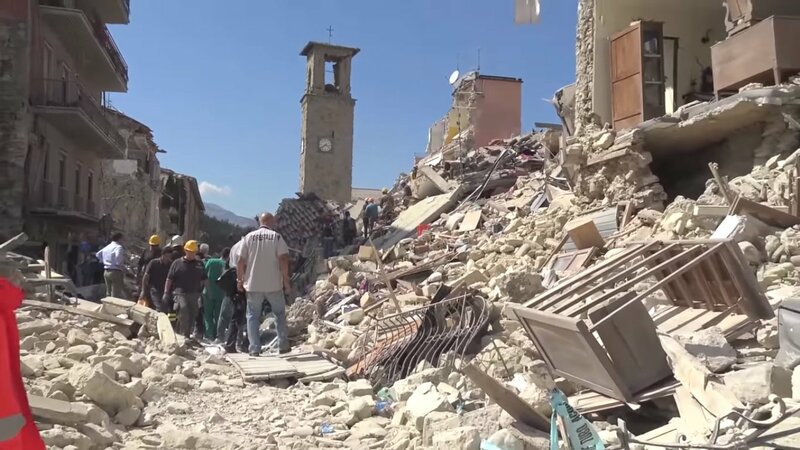 Amatrice is just 37 miles away from the epicenter of today’s first earthquake. People in the towns of Pescara, Ancone and L’Aquila rushed out of their homes in panic as the ground shook. The earthquakes rattled doors and windows in Rome, reports said. The mayor of one town said residents were without power, and there were reports of damaged buildings. A section of a highway north of Rome was closed due to a landslide, said Ornella De Luca, a spokeswoman for Italy’s civil protection agency. PM Matteo Renzi is on his way to Rome, local media report. The first earthquake was relatively shallow, at a depth of nearly 6 miles.